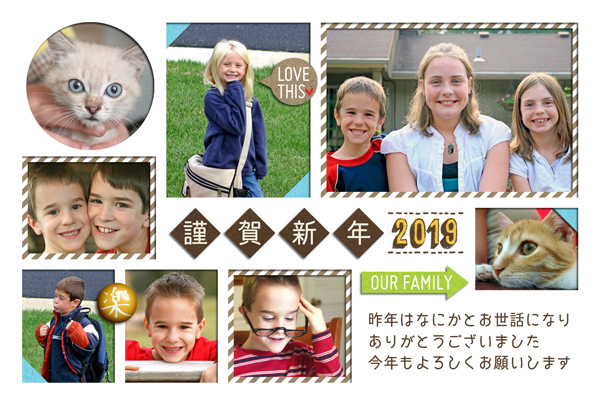 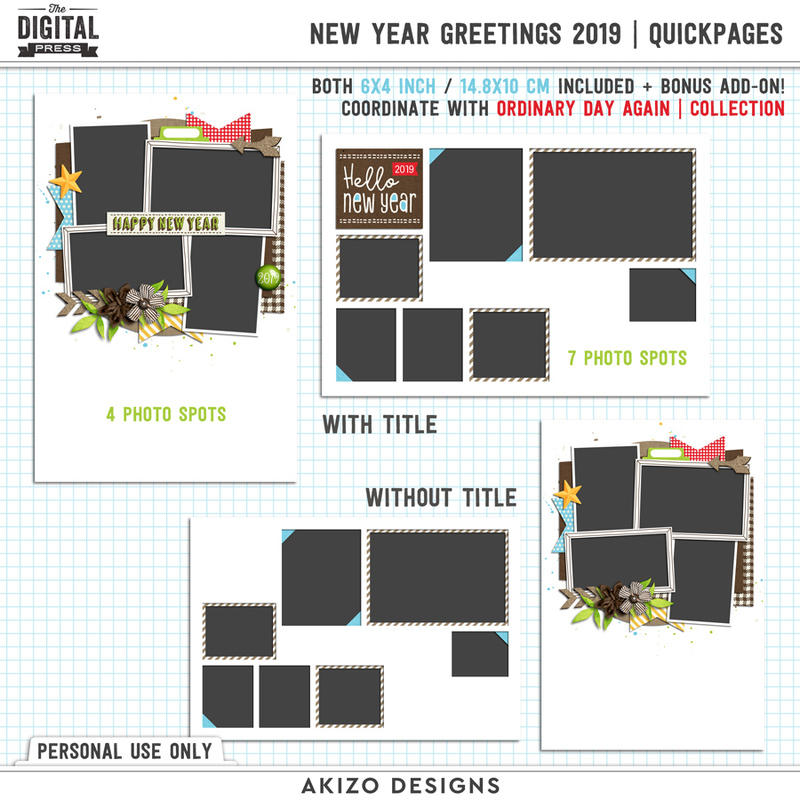 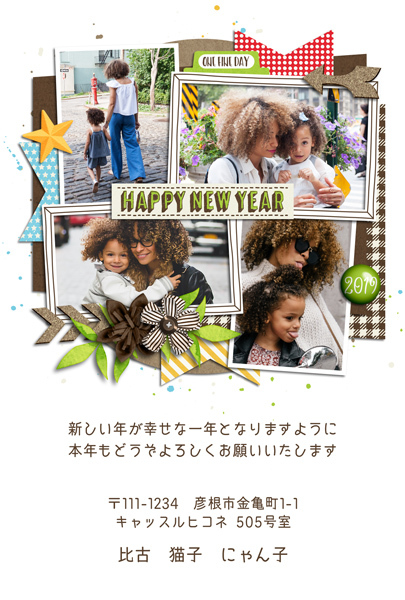 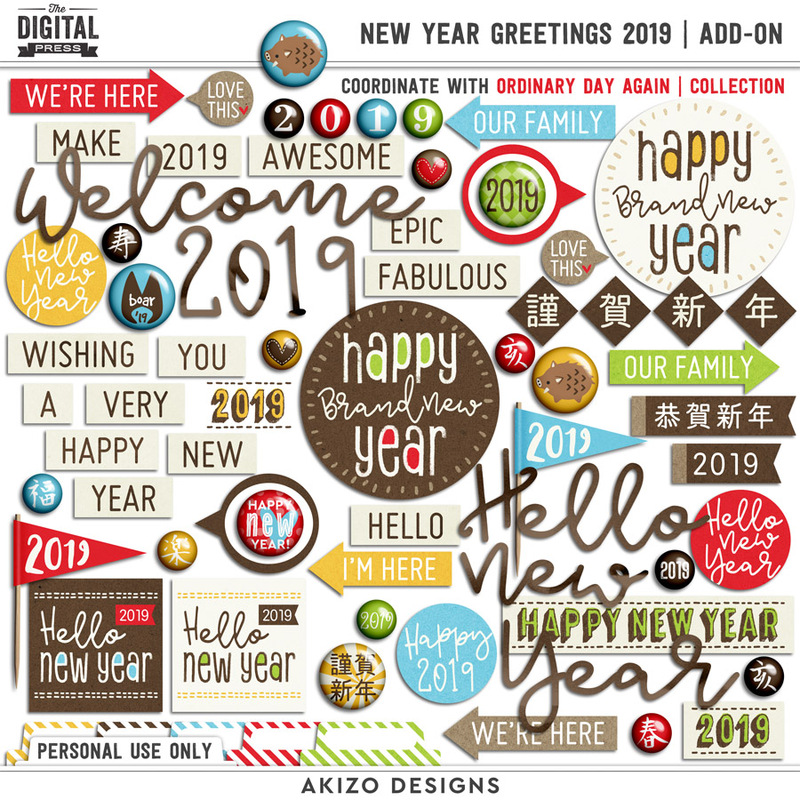 New Year Greetings 2019 | Quickpages + Add-on by Akizo Designs For Digital Scrapbooking. 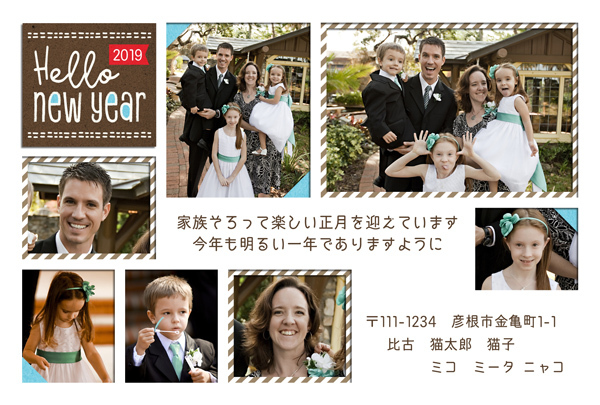 Both 6x4 inch / 14.8x10 cm (Japanese Card Hagaki Size) included. 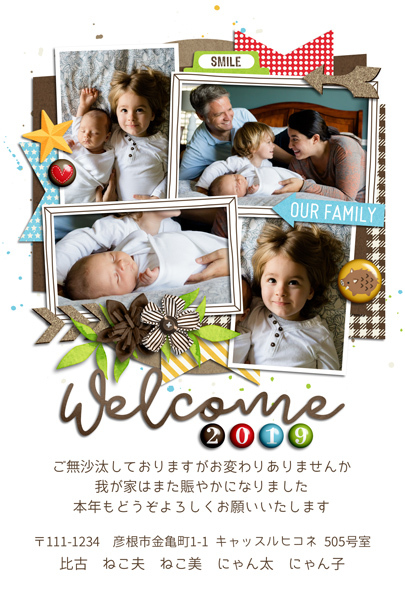 including flair, pebbles, talk bubble, titles, word bits/strips, etc. 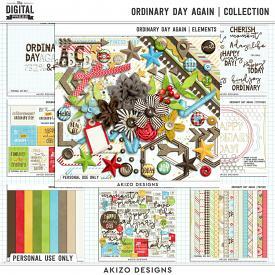 Drop shadows, background paper, and Ordinary Day Again | Collection's preview for illustration only. 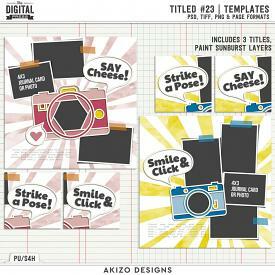 Not all items shown. 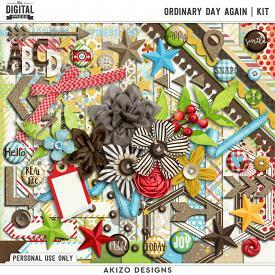 Some elements shown in the inspiration layouts may not be included in kit.